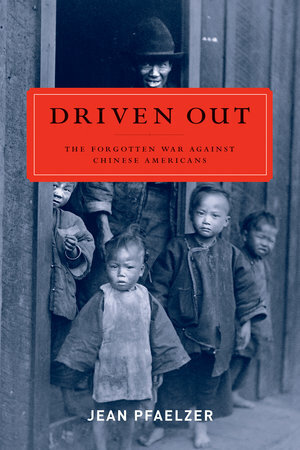 Driven Out exposes a shocking story of ethnic cleansing in California and the Pacific Northwest when the first Chinese Americans were rounded up and purged from more than three hundred communities by lawless citizens and duplicitous politicians. From 1848 into the twentieth century, Chinatowns burned across the West as Chinese miners and merchants, lumberjacks and fieldworkers, prostitutes and merchants' wives were violently loaded onto railroad cars or steamers, marched out of town, or killed. But the Chinese fought back—with arms, strikes, and lawsuits and by flatly refusing to leave. When red posters appeared on barns and windows across the United States urging the Chinese to refuse to carry photo identity cards, more than one hundred thousand joined the largest mass civil disobedience to date in the United States. The first Chinese Americans were marched out and starved out. But even facing brutal pogroms, they stood up for their civil rights. This is a story that defines us as a nation and marks our humanity. Jean Pfaelzer is Professor of English and American Studies at the University of Delaware. She is author of The Utopian Novel in America, 1886-1896: The Politics of Form, among other books. She was Executive Director of the National Labor Law Center and was appointed to the Washington DC Commission for Women.